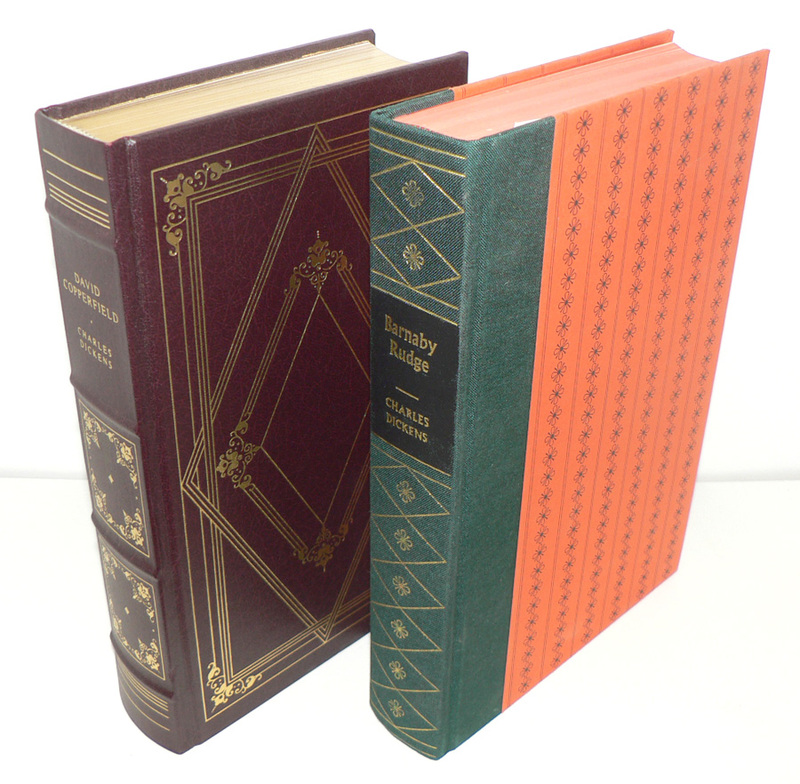 "Barnaby Rudge" published by The Folio Society, 1987. Illustrations by Charles Keeping. 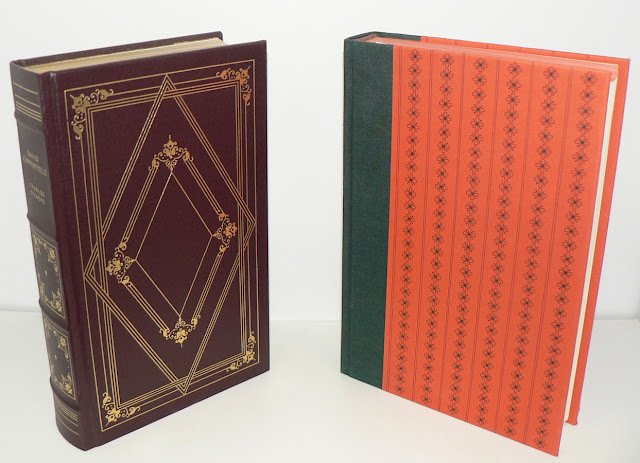 "David Copperfield" published the Franklin Library, 1980. Illustrations by Paul Degen. Gilt all edges, raised bands. Contest now closed, back with a winner in a moment. Oh man, those are gorgeous. Oh please, please, PLEASE pick me!! I would love to have this!!! This is wonderful! I'm keeping my fingers crossed. Those would be make perfect Christmas presents for my Dickens-loving friend!!! Oh, I love Dickens. Pick me, pick me! Excellent! Do hope I win! I've always loved editions from the Folio society, they're really beautiful. Yay for Fridays and your wonderful giveaways! Please enter me- these look lovely. I've read one Dickens so far, and liked it a lot! It was.......oh, come, now, brain, don't fail me now......ah. Oh, yes. "Hard Times". A slow book at first, but if you perservere, it's actually quite good, and has some lessons to bear! Thank you very much for the lovely giveaway! Lovely! Charlies Dickens is one of my favorite authors. I'd love to enter this! Dickens is marvelous in any edition, but those are particularly lovely--thanks for offering them! Godsforlife at gmail dot com. Gorgeous set! I'd love these. I do miss the dickens out of Mr. Dickens. Enter me! Would love them. Beautiful books! Thanks for the entry! Ooh, me me -- those are two I haven't read yet.